Want to learn about Wine while making $$$ over the phone talking to Wine lovers? JOB OPPORTUNITIES IN OUR AUSTRALIAN and NEW ZEALAND OFFICES! We have an office in Auckland New Zealand also - So it's easy to transfer while you work and travel! United Cellars has moved beyond the traditional Wine Club to work directly with leading wineries across Australia and around the World to be one of the leading Independent Wine Retailers in Australia and NZ. Our Sydney office is located on William St, with easy access to cafes, restaurants and most importantly public transport. We have a diverse mix of people working in our office creating an energetic and fun working environment. We are looking for passionate and dedicated Sales Agents, who are willing to bring their skills and develop themselves within our Executive Sales Team. A minimum of 25 hours per week is required. For Working Holiday Visa Holders, we can offer contracts with up to 6 months availability with full time (35-40) hours. Industry leading remuneration and benefits. Do you tick 2 out of 3? 2 – Willing to learn? 3 – An experienced Wine Sales Agent? If so, apply with your CV and phone number now... immediate starts available. Here at United Cellars we are passionate about wine. 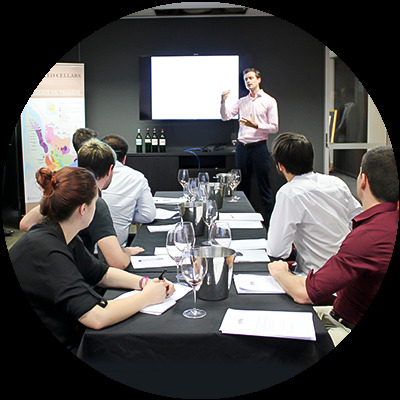 We are WSET trained and bring a wealth of local and international wine knowledge to our clients through over 200 hours of wine training a year. Our state of the art call centre is in the heart of William St, Woolloomooloo - a 10 minute walk from Museum or Kings Cross station. The strength of our business is the people behind it, therefore we allow our team members every opportunity to grow with confidence. We have a strong team culture and fun environment with the best wines and incentives!